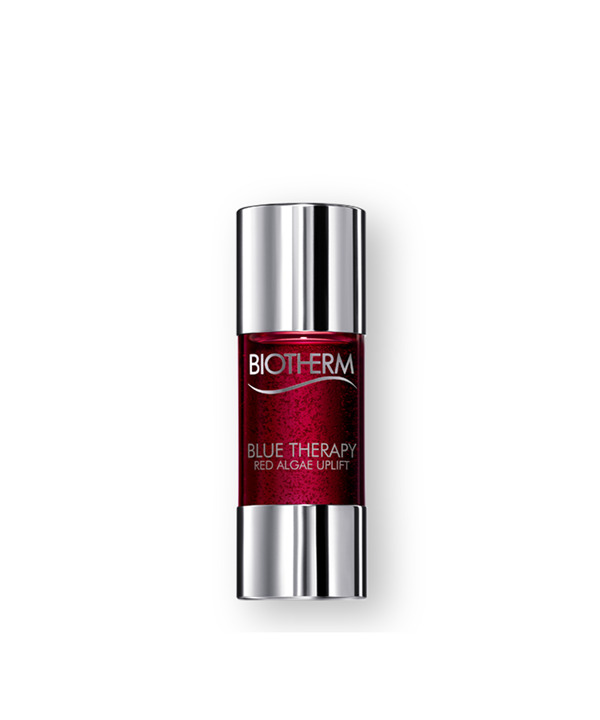 Originated from the sea, boosted by Biotherm biologists, the uplifting power of precious Red Algae has now been captured in an ultra-liquid texture, lighter than any face serum* for perfect skin affinity. With age, fundamental skin collagen and elastin-fibers decline significantly and result in a loss of skin firmness, less defined contours and wrinkles. Made for the current generation of women who want to know how to look younger in a natural way - without recourse to surgery - Biotherm brings skin lifting power with Red Algae Extract, reinforcing skin's youthful and firm structure. This intensive cure is a microemulsion, micronized like never before. Ultra-penetrating, consisting of tiny microdroplets, 10 times smaller than those of a skin serum and 1/10.000 the size of a pore, it deeply infuses Red Algae Extracts even further. For an invigorating sensation and visible transformation: Instantly firmer and tensed, without tightening feeling. After 28 days re-defined contours, skin as lifted.